This play attempts to put the microscope on the formative years of the United States of America. The Founding Fathers’ story focuses on the first four Presidents, our Revolutionary War (demonstrated using playground games), and the four attributes that made our independence unique in history. Those traits are Life, Liberty, Justice and Representation. As usual, this InterActive production will rely on assistance from the audience and our hysterical Historians...er, um...Historical hysteria! As actors we enjoy the attention we receive in a show, but nothing brings our audiences alive like seeing their fellow patrons ON THE STAGE! 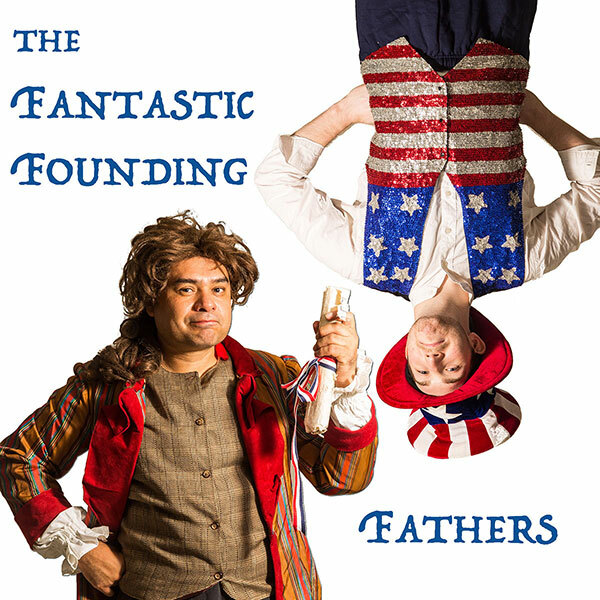 In Fantastic Founding Fathers we offer several opportunities for Audience members to join us in our story onstage. 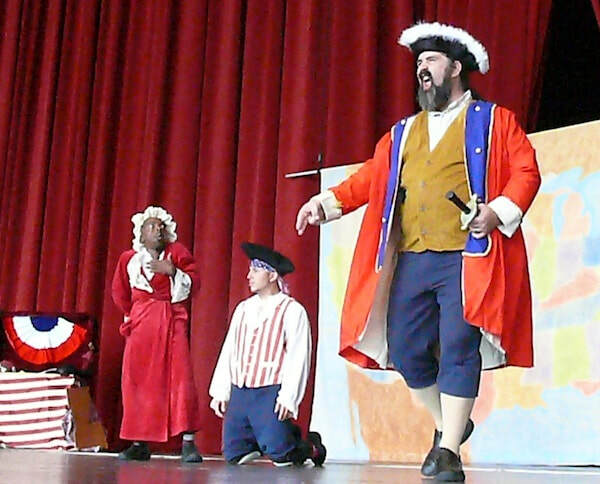 The roles of the Ruler of England, Jefferson, Washington and Benedict Arnold are all portrayed by Volunteers.